If you’re thinking of having your Goodlettsville home outfitted with gutters, you’ve probably done some research and quite likely come across companies offering seamless gutter systems. As you no doubt surmised, these systems have no seams, unlike traditional gutters. 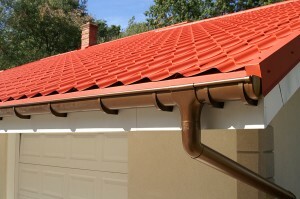 This seamless quality gives gutters a pleasing uniformity. But besides looking good and preserving your home’s visual appeal, which are both certainly desirable, what are the functional advantages of seamless gutters? No matter the size or configuration of your home, all gutters protect it from water damage in the same manner. A traditional gutter system, however, has a structural weakness that can hinder how well it functions. That’s because it has seams, and, because seams often come apart, your gutter won’t channel rainwater away from your property effectively. The result can be costly damage to your home’s walls and foundation, as well as erosion of your landscape. With seamless gutters, the chances of that happening are far less. If you’ve ever had to climb a tall ladder to scoop mounds of sodden leaves and other wind-blown debris from your gutters, you know what a chore that can be. With a seamless gutter system on your home, frequent clog-clearing will be a problem of the past. Again, this is due to the system’s seamless feature. The seams of traditional gutters often snag debris, which can collect and lead to clogging, and clogging means not only more work for you, but also increases the risk of spillover, and, thus, water damage. In Goodlettsville, 31-W Insulation offers and installs seamless gutter systems that will give you these advantages and more. Made from sturdy aluminum alloy for superior longevity, our gutters come in a variety of lovely colors to complement your home’s color scheme. Contact us today for more information. We would be happy to visit you for a free, at-home consultation.